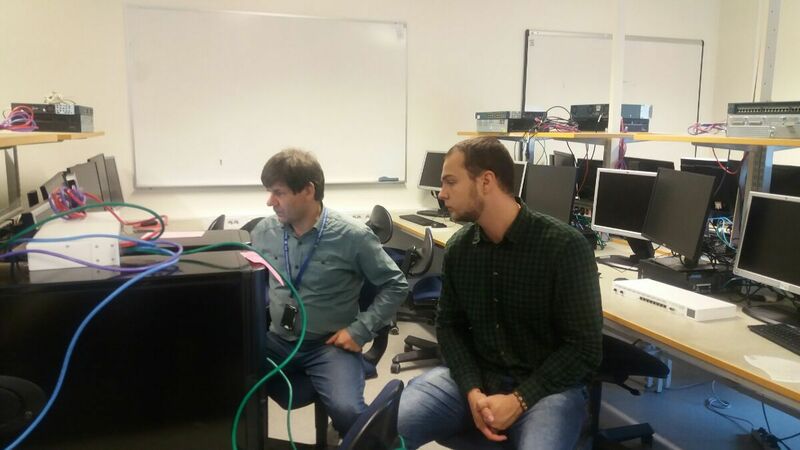 ReSeLa installation workshop took place on 6 – 17 September in Blekinge Institute of Technology (Karlskrona, Sweden). This workshop attendees: Yevdokymenko Maryna and Ievgeniia Kuzminykh (Kharkiv, Ukraine), Stepan Voytusik and Yaroslav Stefinko (Lviv, Ukraine), Volodymyr Sokolov (Kyiv, Ukraine), Alshaev Ilia (St.Petersburg, Russia). Anders Carlsson, ENGENSEC general project manager, coordinated the learning process for participants. Partner representatives were involved in the installation and configuring of OpenStack Remote Security Laboratory (ReSeLa+). They tested programs, found solutions and got all necessary information for future using ReSeLa+. More over participants created images for different courses labs (Wireless and Mobile Security, Web Security, etc.). ← Summer School – 2017! It was great!